Hummingbird Cupcakes - they melt in your mouth! 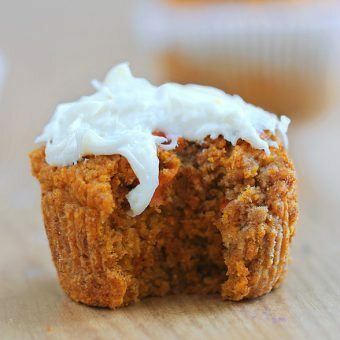 I’ve never been so in love with a cupcake recipe, healthy or not. 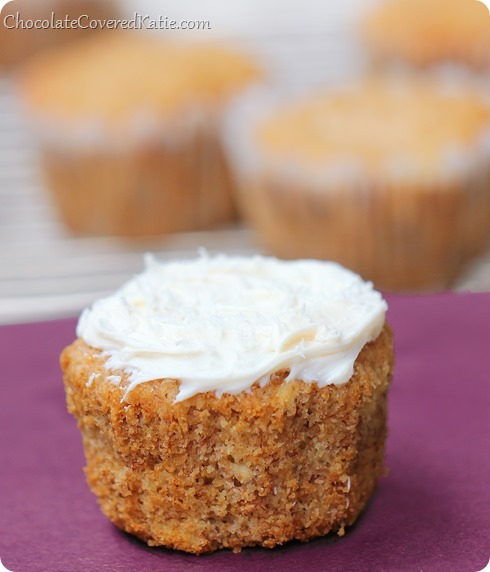 These cupcakes are moist, sweet, and absolutely irresistible with healthy cream cheese frosting. Perhaps being in love with a cupcake sounds crazy… but just try one and I promise you will completely understand!! Hummingbird cake, which made its culinary debut in a 1978 issue of Southern Living Magazine, is a delicate and lightly-spiced cake bursting with the sweetness of pineapple, banana, and coconut. To this day, it is still the magazine’s #1 most popular recipe of all time. 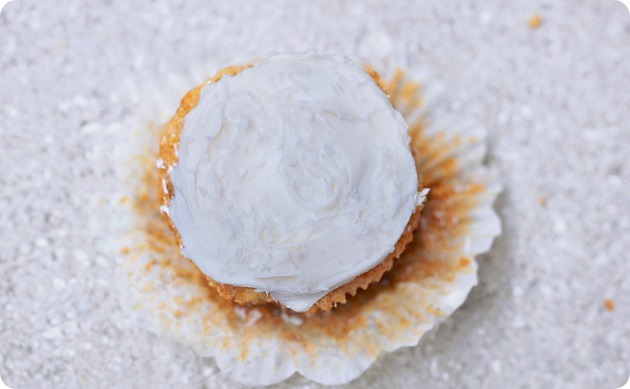 These seductive little hummingbird cupcakes perfectly capture the charm of Southern Living’s famous recipe, and they’re even healthy enough to eat for breakfast if you so choose. Hummingbird Cupcakes: Preheat oven to 350 F, and line a muffin tin with 10 liners. In a large mixing bowl, whisk together first 6 ingredients. In a separate bowl, combine all remaining ingredients and stir well. Pour wet into dry, and stir until just evenly mixed. 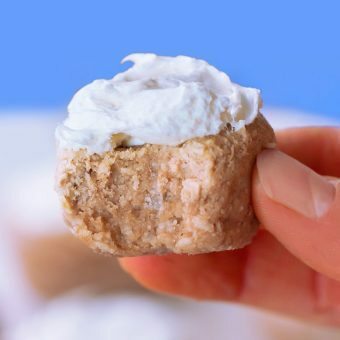 Pour into the 10 muffin tins and bake 19-20 minutes or until muffins have domed and a toothpick comes out clean. Allow to sit 10 minutes before removing from the tins. 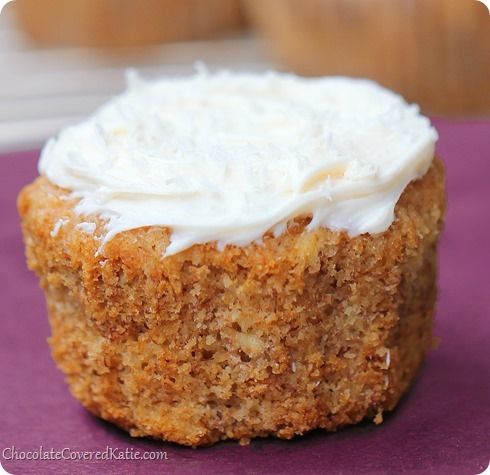 Frost with either coconut butter or Healthy Cream Cheese Frosting, shredded coconut, and pecans. Does it feel like Spring yet where you are? These look good….although they require a lot more ingredients that I’m use to buying! These look awesome. For what it’s worth, I (mostly) grew up in DC and, in the last 15 years can only remember one other winter that even came close to this one in terms of cruddy weather. Hang in there, the Cherry Blossoms are JUST around the corner! It did feel like Spring until this weekend. We dropped in temperature a lot over the weekend. 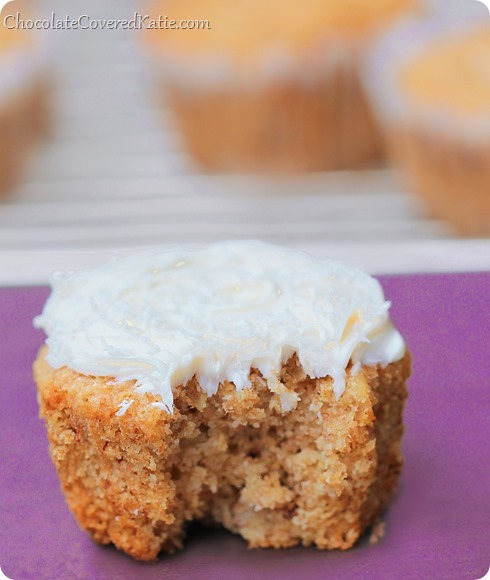 These look good and I love anything with cream cheese frosting. I might make a few subs to use less ingredients though! Thanks for sharing. Hi Katie, thank you again, for continuing to bring new delicious foods into my kitchen. I’m ready to try this one, but due to a diet I’m on for my skin condition I must either eat bananas alone or not eat them, so I’m wondering, what do you think of using apple sauce as a substitute for the banana , think it might work? I do that all the time in baked goods and it works just fine, as long as you use somewhat thick applesauce. Last time I made homemade applesauce, I stopped cooking it too soon and it’s more like apple puree… too liquidy for baking with – oops! But normally it works great. thanks for your reply, maybe ill try making this tomorrow morning…..cant wait to taste them. I love your healthy version of these. 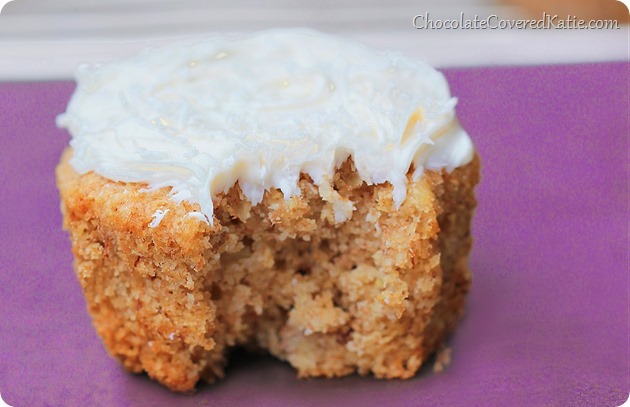 I’ve also got to try that healthy cream cheese frosting of yours. And no, here in DC it feels like worse than winter did haha windy and so so cold! Cheers to warm weather soon! Anything with pineapple sounds delicious to me! And it’s definitely NOT spring here in Chicago… we’re back below freezing this week. Haha yup, I live in the Loop, and I’m pumped to slip around on the unsalted sidewalks tomorrow after the rumored snow! It is starting to look like spring here in Belgium (and I’m sorry to say for all my family freezing in Canada that we practically skipped winter altogether!) These are beautiful cupcakes – I’ve been meaning to try Hummingbird cupcakes for a while and I think I might just have to give these a whirl 😀 Pinned! Hi, from a couple states down!! It is beginning to warm up here. The first day of spring was especially accommodating, with temps in the 70’s and a nice breeze. I hope the warmer temps come your way soon! 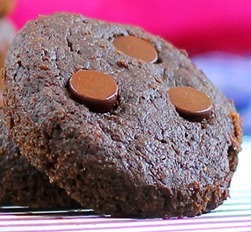 These look perfect for me to make right now. : ) I have a banana to use up, and I just had a really tough time trying to figure out how to write my essays, and other papers for college. Thanks! Ah! Yes, sorry about that… I did not use xantham gum – but I did use guar gum. I (also) halved the amount of baking soda, powder and guar gum – i only used a 1/4 teaspoon each. I think it would be fine without the guar gum… I hope this helps! Enjoy! It’s spring here in Germany at the Dutch border, blossoms everywhere, only the temperature dropped a little. But then we didn’t have winter at all. Wish I could send you some spring blossoms and fresh herbs from my garden! It feels like spring some days…i live in Pennsylvania and the weather just keeps going back and forth from cold to warm. These look really good! i will have to give them a try soon. 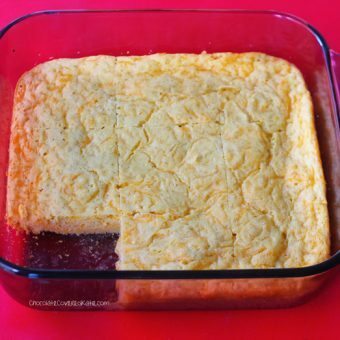 could i use oat flour? These look so light and lovely! I am totally with you on the whole spring-can’t-come-soon-enough thing. Even here in Florida it’s supposed to be in the 30s tomorrow night! Ohh yes.. my dear hummingbird. Makes my heart sing! Do you think I could use almond flour instead of the gf flour blend? Here in Cali the weather is on it’s way to summer…went swimming this weekend, T-shirt and shorts today, and got a tan while eating my lunch. So lovely! I love that they include apple cider vinegar! Such a healthy addition! These look so good, and I much prefer a lightened up version! 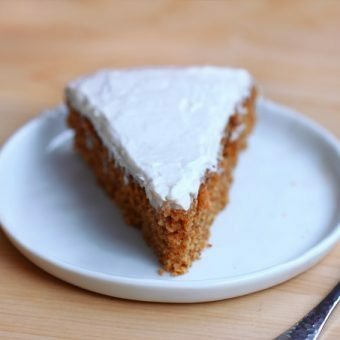 The original version of hummingbird cake is delicious but SO rich. These look so amazing!! Your recipes are so creative and yummy!